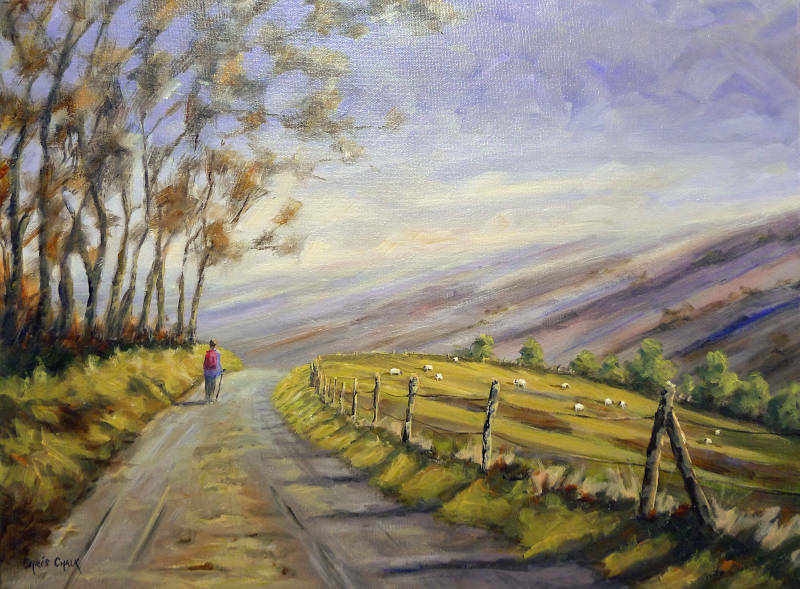 A piece of beautiful Welsh art, the scene is high up in the mountains of west Wales. 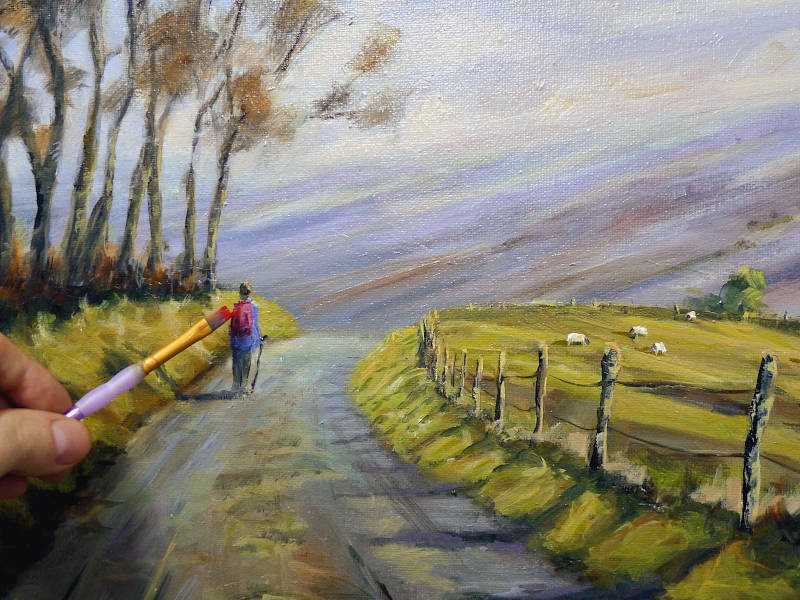 The figure leading us into the painting, around the bend.. and beyond. Come in and take a stroll! Painted on Loxley Gold stretched canvas, 24 inch x 18 inch x 1/3 inch - This painting can be framed, or hung un-framed as shown.